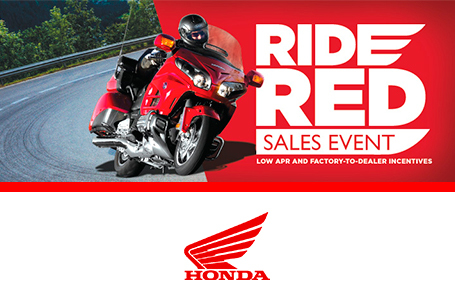 Great deal on a commuter or starter Sportbike. Let's Get Started: If you're curious about riding, our Learn To Ride site is just what you need. We’ll guide you along every step of the way, telling you what to expect. Helping you find and schedule training. Getting gear. Figuring out which bike is right for you. And what to expect at the dealer. Classic Riding Position: You’ll appreciate the CB500F’s classic riding position—you can sit up straighter, without supporting your weight on your arms. It’s a great choice when you’re riding around town or commuting, and you can always tuck in tighter when you want to. Your passenger may find it more comfortable, too. Timeless Styling: Check out the CB500F’s LED headlight, and then start working your way back. 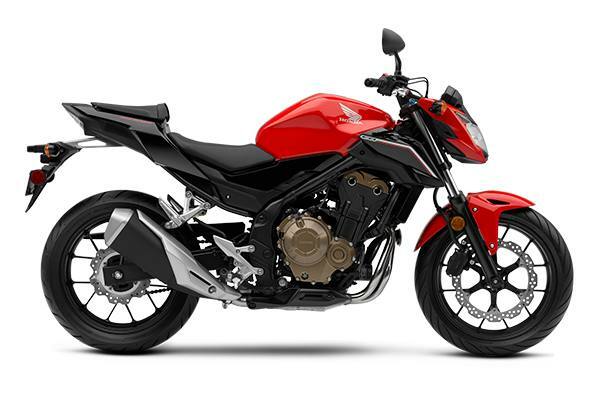 The CB500F embraces the concept of minimal bodywork, but fits right in with what a modern motorcycle should look like. It’s not pretending to be anything but a great contemporary bike. Details, Details, Details: An adjustable front-brake lever, great shift feel, a crisp exhaust note—the CB500F concentrates on the basics, then works extra hard to get them perfect. Pro-Link® Rear Suspension: A sophisticated chassis with Honda Pro-Link rear suspension, nine-stage preload, and 4.7 inches of travel give you a comfortable ride over small bumps, while capably absorbing bigger bumps to increase riding comfort and handling. Disc Brakes: The front 320mm wave-style disc brake and 240mm rear provide strong stopping power.